Some clever and carefully implemented vertical bathroom storage ideas can give a whole new dimension to your bathing space. Till date, you might not have even realized the untapped potential of unused vertical areas in your bathroom. 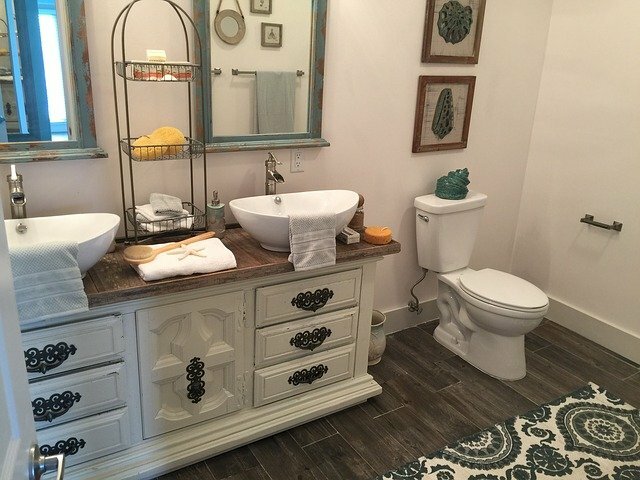 From empty walls and corners to unutilized spaces above the toilet and sink, you can use these creative tips to add style, storage, and sophistication to your bathroom. 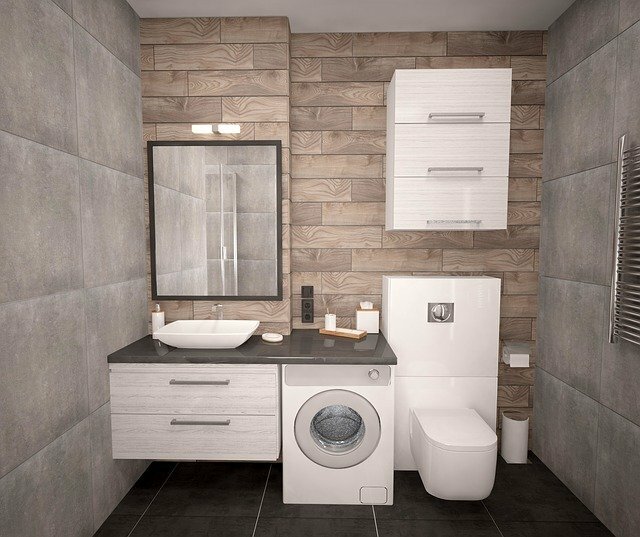 Now’s the time to tackle those vacant spaces with some of the best vertical bathroom storage ideas. Let’s dive in! Loads of items but no space? Not a problem at all. Use the classic stack upon stack idea. Three to four stacked floating shelves — installed above the toilet or sink — can add that much-needed extra room to your bathroom. Use the racks to place towels, soap, and accessories. Add some style by using it to hold some decorative pieces as well. Store some toilet paper in cardboard boxes and you are all set with this layout. This is another of the great vertical bathroom storage ideas. In-built cabinets are the best when you have less space at your disposal. You can get cabinets that are pre-installed with your vanity unit — enabling you to utilize the unused room below the set. You can also fix cabinets on your wall — at any empty corner or above the toilet. 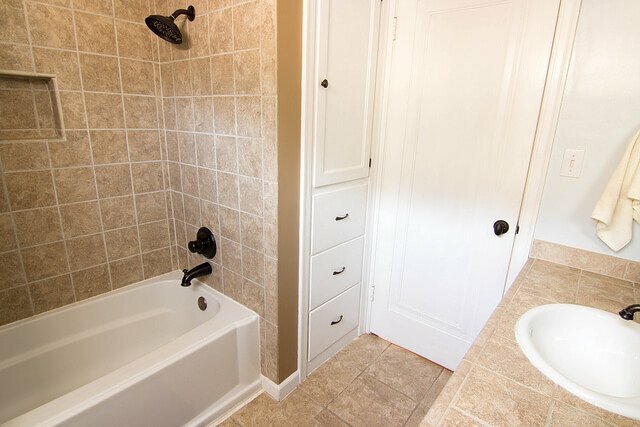 Remember that since these fixtures are permanent, such jobs should be done by professionals and the cabinetry must go with the rest of the bathroom layout. 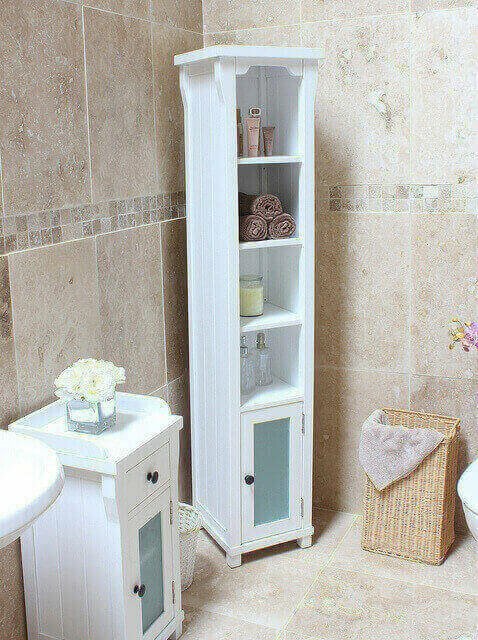 Standalone bathroom cabinets that extend more towards the width, can take up more of your horizontal space. So, get a tall and narrow cabinet instead. 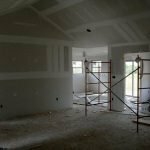 It will take up minimal floor area and use up non-functioning wall volume. Segment each drawer or shelf to place separate items — such as towels, body care products, toiletries — for a neat, arranged look. You can even put scented candles or other decorative items at the top for added appeal. This is one of our favorite cheap and convenient vertical bathroom storage ideas. Buy two or three-tiered baskets and place them over your vanity or sink countertop. Use it to create different bathroom cubbies — for example, one for towels, another for soap and shampoos, and the other for essential oils. You can choose different items as per your convenience — such as beauty supplies, shavers, and hair dryers etc. You can even extend this idea towards the corners or next to your bathtub. Since it’s portable, the entire unit can be moved wherever required. Having the unit close to your tub will ensure easy access to towels, scented oils, bath salts, body lotions, and magazines. 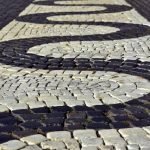 If you think through, you will find an endless number of possibilities. Built-in closets with doors are another innovative option that offers plenty of storage space for towels, sheets, and other essentials. You can use them to keep objects — such as cleaning chemicals or unused toilet rolls — hidden from plain view. 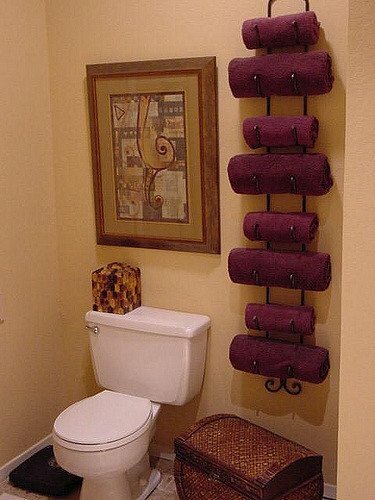 There is no such thing as too many towel racks. Check out this beautiful wine bottle towel rack — made from wrought iron. You can buy it online from any store and fix it easily — allowing ample space for keeping multiple towels and linens. 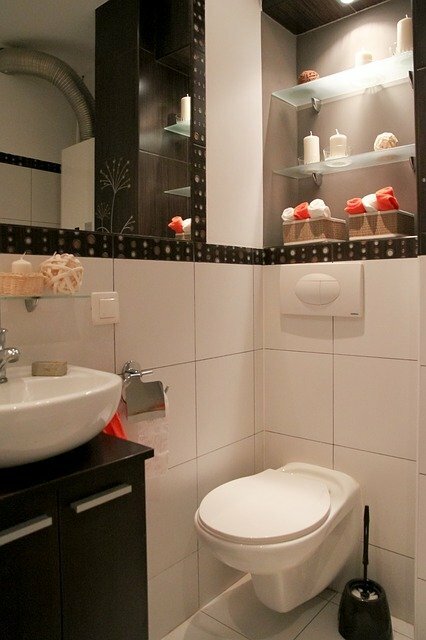 Recessed shelving is a very good idea for bathrooms with cramped spaces. They don’t protrude out into the limited area and can be used to hold small items. See the arrangement above. A shelf — fixed on the wall — rests on the secluded portion below the basin. If it’s near your toilet or bathtub, you can keep handy products there such as towels or tissue rolls. We have already spoken about using shelves to utilize empty areas above, but this design idea uses the potential space below your sink. 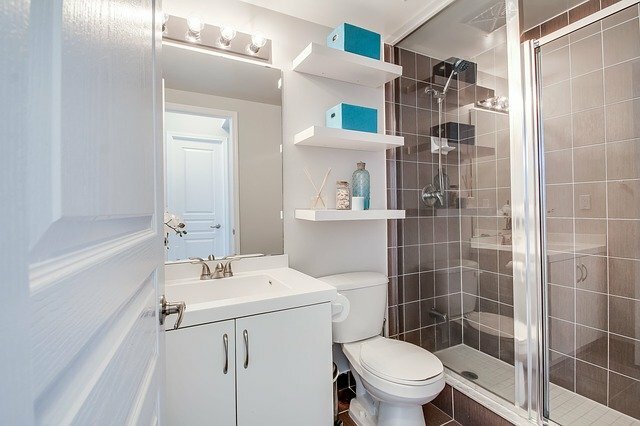 When you have a small bathroom, you might think that installing too much cabinetry or shelves may make it look cramped. But here’s when you can rack your brain and get creative. Look for hidden potential storage options. For example, you can maybe carve out a small section on the wall to create an in-built shelf. Decorate the background with your favorite mosaic, painting, or mural and use it to store luxury items. Another idea is to use the corners and replace these vacant spaces with an open glass shelving. Look above the door. Usually, there’s unfunctional space there. You can again convert this to a usable area. As you can see, possibilities for vertical bathroom storage ideas are in plenty. The walls, countertop surfaces, corners, and even the door are the perfect canvasses for clever storage solutions that fuse style, functionality, and form. So just go for it. In your next bathroom renovation project, don’t forget to check out the tips above. We are sure they will help you to at least get started!